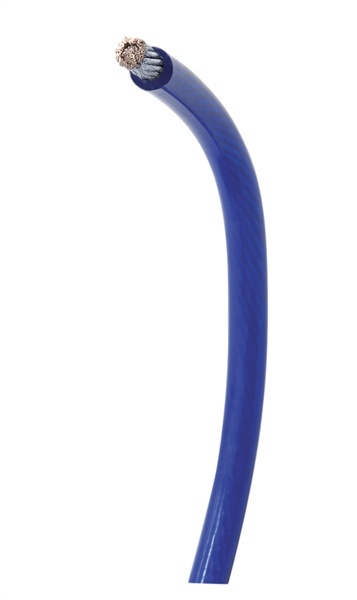 StreetWires Ultra Flow™ power cable is the ultimate performance power cable. For unbridled power flow and ultra-low DC resistance, these cables are built from the purest oxygen-free, fine-stranded copper using highly flexible Rope-Lay wire construction, which prevents kinking and provides more installation options. The Poly Flex™ insulation offers the most protection from heat, chemical reactions, and the harsh under-hood environment. Ultra Flow Power Cable is high power link between your battery or other power source and your amps or other components. Why do I need thicker power wire? Power wire is what transfers electrical current from your car or system battery to your amplifiers. Amplifiers are electricity hungry and constantly need to be getting power from the battery to output all the power they are capable of delivering. You wouldn't try to put out a fire with a garden hose and you shouldn't try to force high voltage through a low gauge wire.